Many veteran commentators said that this was the best Federer has ever been with his backhand against Nadal. Give a one-line answer to the following question: How does Nadal beat Federer? Easy, by hammering loopy topspin-heavy forehands to Federer's one-handed backhand. It has always worked. Of course, there was a mental aspect to Nadal's game as well. But this particular vulnerability, which was more pronounced because of Nadal's peculiar forehand, made matters worse mentally for the swiss legend. So what happened this time? Clearly, the age-old strategy did not work. Federer, an always evolving genius, turned his weakness into his biggest strength against Nadal. Coming to this tournament, Federer was not counted among the favourites, not even by himself. Nadal, too, was counted among those having an outside chance. But with world's top two players Murray and Djokovic out of the way, another Federer-Nadal final suddenly seemed a possibility. 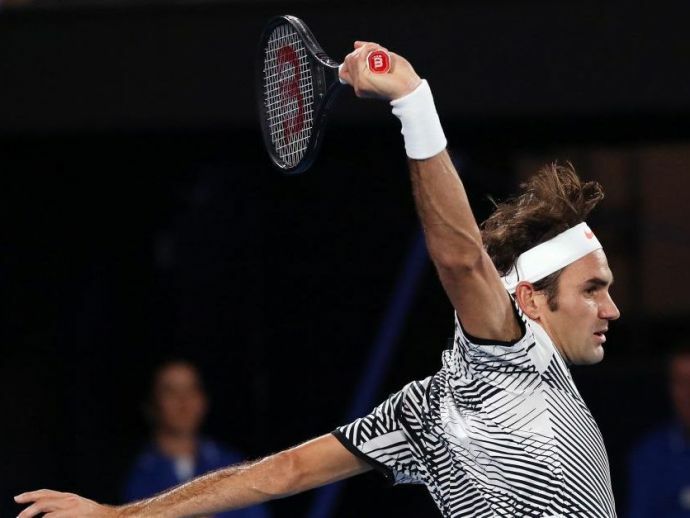 So after two five-set thrillers in the semis, we saw the legends take on each other, again. It started out predictably. 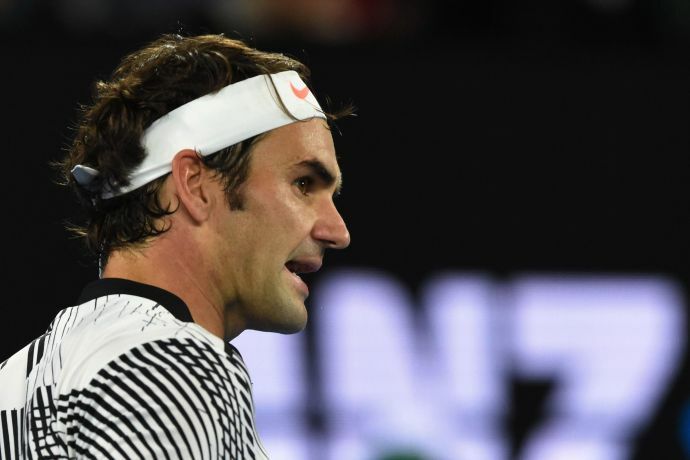 Federer came out all guns blazing, firing off aces and winners, taking the first set before Nadal could settle in the match. Then, predictably, as it has happened since ancient times, Nadal began to find his range and get a mental stronghold in the match. Federer went one up again after taking the third set, after which Nadal took the fourth. Now, at this moment, it was generally Nadal who used to stand his ground with Federer misfiring from his backend. Not this time, though. Not again. As Federer was broken early in the decider, his backhand did not give away. Instead, he kept taking the ball early and kept Nadal off balance using the speed and placement of his groundstrokes. Many veteran commentators said that this was the best Federer has ever been with his backhand against Nadal. 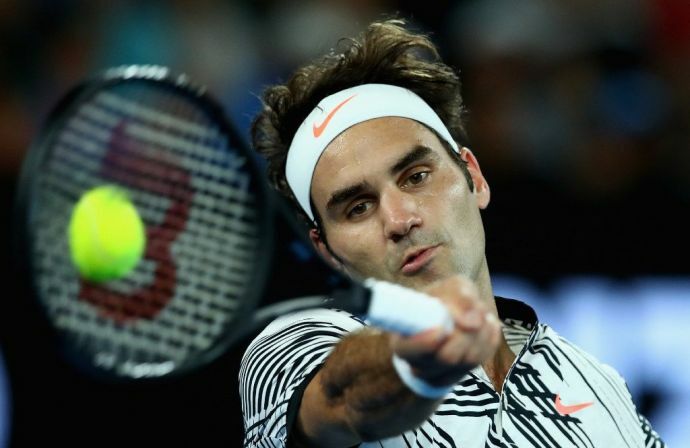 A seemingly unsolvable weakness had now turned into Federer's biggest strengths. It goes on to show Federer's tenacity that he did not give up on his groundstrokes and use serve-and-volley predominantly, but at the twilight of his career (arguably, as time seems to run differently for Federer), went for the fight. Federer's forehand has never been an issue. But with him finding the range from his other wing, Federer became a different beast altogether. He kept on attacking Nadal's forehand with his backhand, in contrast to what used to be the other way around. The last time we saw this Federer was in 2007 Wimbledon Final, where he used his timing and the court to keep Nadal off balance. 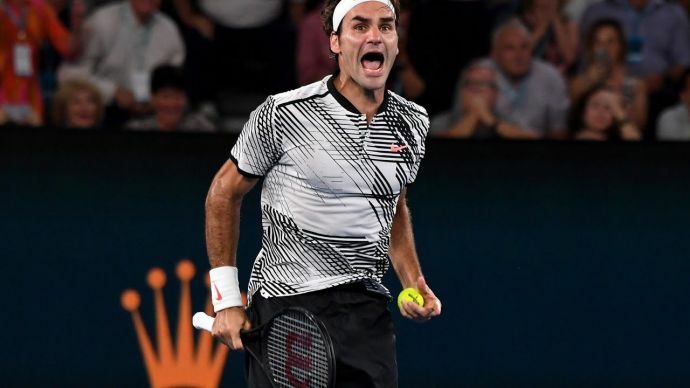 A decade has passed and after coming off a six-month absence from tennis, he showed everyone around that he still possesses that fire and ability to compete with the best. If we recall Federer's wins against Nadal, we see that he won only when he was potent from both wings. Especially on speedy hard courts. Even in the final of Australian Open 2009, Federer started off strong with his backhand but faltered afterwords. Now, at the age of 35 when most tennis stars enjoy the comfort of commenting and giving armchair advice to the pros, he finally seemed to have solved the mystery. Before coming to the match he had said that he will be playing with a 'nothing-to-lose' attitude. Perhaps this was the reason that he kept going for more winners than slices with his backhand. Nadal could not get into Federer's head and rather surprisingly, was unsure in his own groundstrokes. Was it possible that Federer had somehow dented Nadal's steely mental armour? Looking at the challenge on the match point by Nadal, it may seem so. It was a poetic end for Federer. After enduring loss after loss at the hands of his storied friend-and-foe, he beat him by the very medium that had been the reason of his many losses. Will he beat Nadal again in a grand slam? Will he win another grand slam? Nobody knows. But one thing that we can be sure of is, Federer is not finished and after all these years shows a godlike adaptability and endurance of a timeless machine. His time will only end when he thinks so; until then, praise your stars that you were alive in this golden era of tennis and enjoy the maestro confounding his opponents with his magic stick.